I’ve returned from my 48-hour trip to Munich and I’ve officially experienced THE Oktoberfest. There’s really no words to describe the insanity but it was a LOT of fun. Of course my sleep schedule and liver are grateful for my return and I’m incredibly thankful not to be on a plane stuck between two strangers for 9 ½ hours today. BRUTAL. When we arrived in Munich, we reported to the hotel where our room wasn’t ready. Not shocking as it wasn’t even noon and check-in wasn’t until 3pm. We were given keys to the “sauna” where we could shower and change into our Oktoberfest gear, leaving our bags with the front desk so we could head out. And so that’s exactly what we did. When we started meandering around Oktoberfest, I was completely and totally underwhelmed with Oktoberfest food offerings. Sausage, boiled potatoes, Cornish hen, pretzels. There was no wow-factor for me at all. Subsequently and due to the fact that there’s little food offered in the Oktoberfest tents and what is offered is only presented in German on menus, we more or less went without food all day. We shared a pretzel here and there, but coupled with no water (Europeans and their water…), Saturday was off to a rough start. We had our first meal more than 24 hours after our arrival. A few cappuccinos later and we were off for day 2. It was more of the same but we were sure to return to the hotel with enough time to gobble down a salad and some tikka masala before heading to bed. The whole experience was a blast and while I feel like I fully lived out all that Oktoberfest had to offer (spring break with way more clothes, basically), I don’t feel like we really experienced Munich and we certainly didn’t dive into traditional cuisine. I’m not so heartbroken over that, though. Best I can tell, German beer > German food. Mexican food, though? Always trumps Mexican beer. I never tire of the local fare when traveling to Mexico. 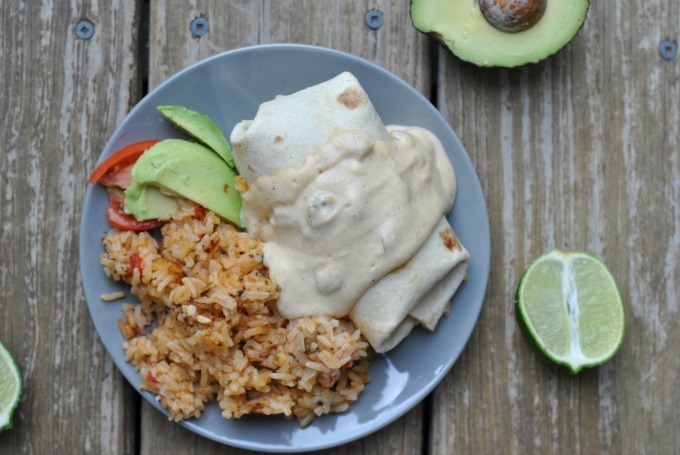 A little American-ized, these knock-your-socks-off burritos will be an instant favorite. 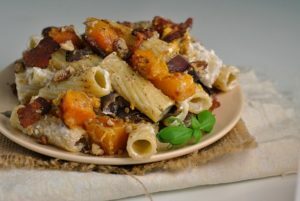 Don’t be scared off by the ingredient list – the slow cooker prep has these come together in a jiff and they reheat fabulously from either the fridge or freezer when baked. Mark loved them with and without the sauce, but I was all for that creamy chile smothering. SO GOOD! Place chicken in the bottom of slow cooker. Add all remaining ingredients for the chicken. Cook on high for 3-4 hours or on low for 7-8 hours. Remove chicken and shred between two forks. Strain the contents remaining in the slow cooker and return solids to slow cooker along with the shredded chicken; mix well. Prepare burritos by adding about ⅔ cup chicken (1/6th of the chicken) to the center of each tortilla and top with 3 tablespoons cheese. 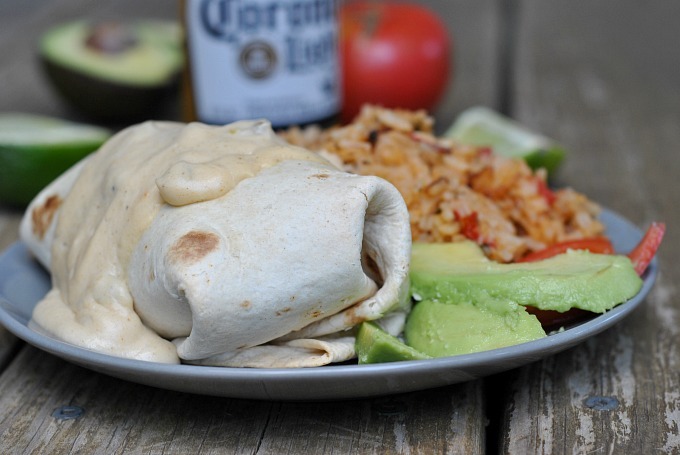 Fold up one edge of the tortilla, tuck in both sides and continue rolling. Place burrito seam side down on a baking sheet. Repeat with remaining chicken and tortillas. 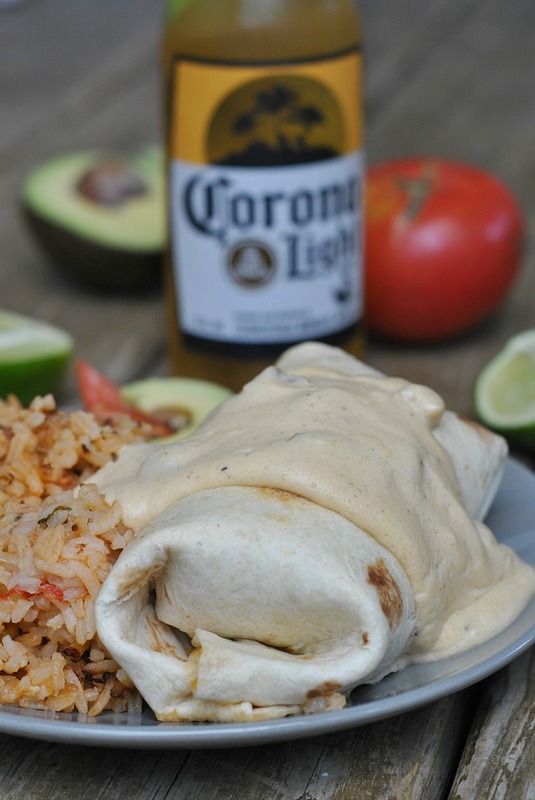 Mist burritos with cooking spray and bake for 18-20 minutes or until golden. Meanwhile, prepare sauce by melting butter and olive oil in a medium saucepan over medium heat. Whisk in flour and cook, stirring constantly for 1-2 minutes. Reduce heat to low then gradually whisk in chicken broth. Add spices and bring to a simmer while stirring until thickened, about 2-3 minutes. Remove from heat and whisk in green chilies, cheese, and yogurt. 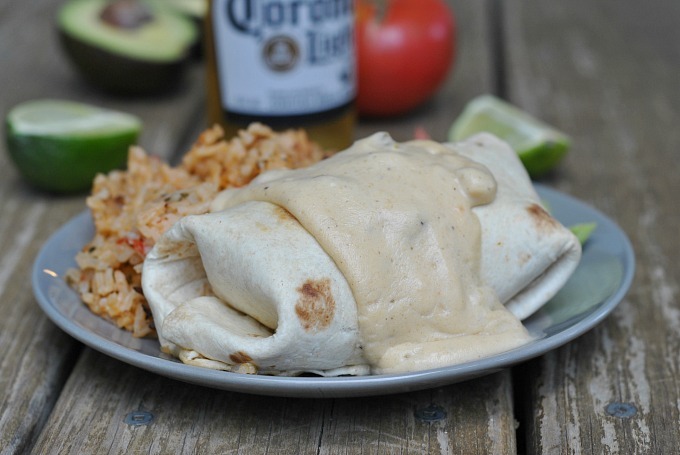 To serve, top burritos with the Cheesy Green Chile Cream Sauce. You actually did dive in and discovered that there is only a shallow end! 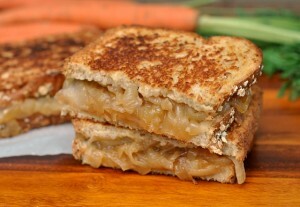 Modern German cuisine, on the other hand, is very diverse and interesting. This is too funny!!! I’ll have to go back for the modern cuisine 😉 It is DEFINITELY not present at Oktoberfest, though – LOL!! !